Catch all the animals by matching your spinningwheel. Now available in the Google Play Store. 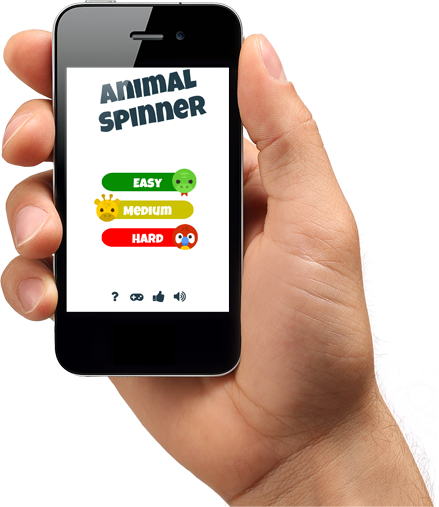 Animal Spinner is a mobile game to test your reflexes. Animal Spinner is a free mobile game. It is available for download in the google play store. This game features three levels of difficulty for you to try. Gameplay will be random but with increasing difficulty.